Put one more item on your to-do list, high school seniors. It’s time to prepare a resume. Not the kind of resume you’ll need when you look for your first post-college job, but a resume designed for a high school senior. Why Do You Need A Resume For College Admissions? See the list of colleges allowing students to upload resumes. If the colleges you’re applying to allow you to submit a resume, don’t miss the chance. It’s a perfect opportunity to highlight things you weren’t able to write about in detail in your college essays. How Do You Write A Resume For College Admissions? Here’s a guide to preparing a high school student resume, along with a sample to get you started. 1.Center your Contact Information at the top of the page. Include your full name, your address, your email address, and your cell number. The full name of your high school, its city and state. Your graduation date in month and year format. Your G.P.A. – weighted and unweighted (note each). Your Class Rank – if your school ranks. Your Test Scores with dates given – SAT, ACT, SAT Subject Tests, and AP tests. Your Academic Honors and Awards, such as honor roll or AP scholar. 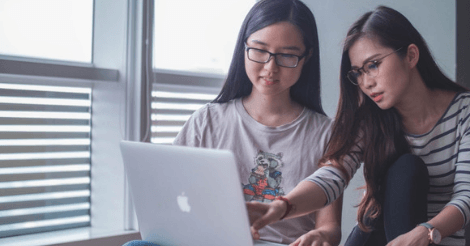 Any Coursework that may not be on your high school transcript, such as a summer course taken at a college or a summer educational experience at a college. 3. Create a section for your Experience (activities and jobs) during your four years of high school. Include your Extra-Curricular Activities at your high school and also any Outside-of-School Activities and Hobbies. Include significant Community Service/Volunteer Experience. If you have limited Extra-Curricular Activities because you had to work outside of school to support your family or you had to take care of a family member, explain that here. For each of your High School extra-curriculars, list the activity (avoid abbreviations) by category and date. Describe your specific role within the activity, including any leadership position you held and the school years and/or summers you participated. Use details to show your accomplishments such as the amount of funds raised, the number of students who joined the club you founded or the impact of your campaign. Put each extra-curricular in a separate section with white spaces between the sections. Start each description with a strong action word such as founded, managed, provided, built, and led. For any job you had or still have, give the name of the company or group, your role, your job responsibilities, and dates. Omit any superficial or brief activities (such as a club you joined for six weeks in 9th grade). 5. Have a section for your Special Skills. The last section of your resume is where you should list any special skills such as your fluency in Spanish, any specific computer skill, proficiency in playing a musical instrument or athletic skill if not described in the experience section. In the Special Skills section you could also list any time-consuming hobbies you have that do not fit in elsewhere – e.g. Spend 10 hours per week knitting baby booties to donate to homeless women’s shelter. Proofread, proofread, proofread to avoid typos, spelling errors, grammar mistakes, and punctuation problems – and ask a trusted adult to do the same. Although your resume will be a personalized one, use this sample high school student resume as a template for creating your own. Remember that your resume is not a do-it-once-document; be sure to update it as needed. And let me stress again, you can’t proofread a resume too carefully. You want a college admissions officer to remember you for your accomplishments, not for your typos! If you want feedback and editing help from top professional writers, check out Prompt. To receive a special discount for Road2College readers, sign up and create a parent and student account within Prompt. This allows you to purchase credits for your student to use and collaborate with your student on their essays. 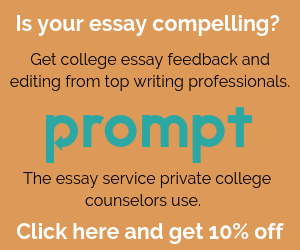 By Nancy L. Wolf has successfully helped high school students craft compelling college admission essays for ten years. She was a partner at a DC law firm specializing in communications law. Since leaving the law firm, she’s taken masters level classes in writing at the Johns Hopkins University in DC and become a published author of articles, essays and fiction. She’s mentored first-generation-to-college high school students through the Posse Foundation, College Tracks and College Bound in the DC area. She now tutors international graduate students in writing and teaches English as a second language at the Washington English Center. Nancy has a passion for developing positive, trusting and candid relationships with all her students – and with her rescue dog, Howie, part poodle/part Jack Russell terrier. Newer PostIs College Worth It?